Chaparral Golf Club attended the biggest golf show in Denmark, the Danish Golf Show, organised in cooperation with PGA of Denmark representing the three partner courses, Chaparral, Cabopino and El Paraíso. The Danish Golf Show is Denmark’s biggest fair for golf enthusiasts with a wide range of activities and national and foreign exhibitors. It´s organised in cooperation with the PGA of Denmark. 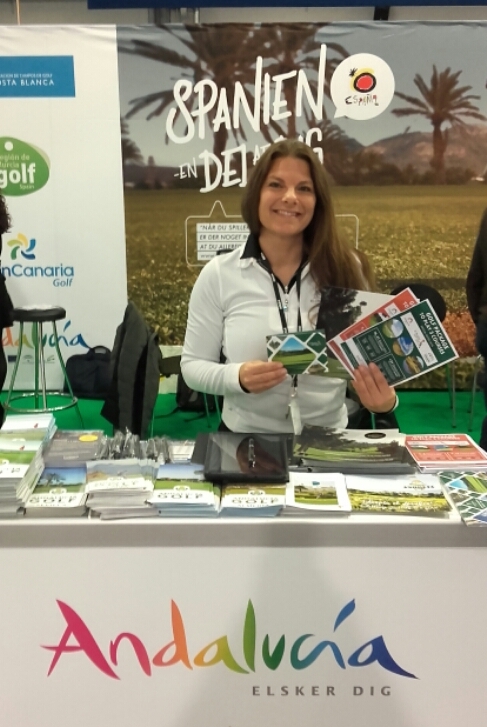 This event initiates the Danish golf season and Cecilia Löwenhielm, our sales executive was there during the last weekend of February, presenting our products and destination to the Danish golf players and tour operators. Danish Golf Show is part of Danish Travel Show and is organised in cooperation with PGA of Denmark.